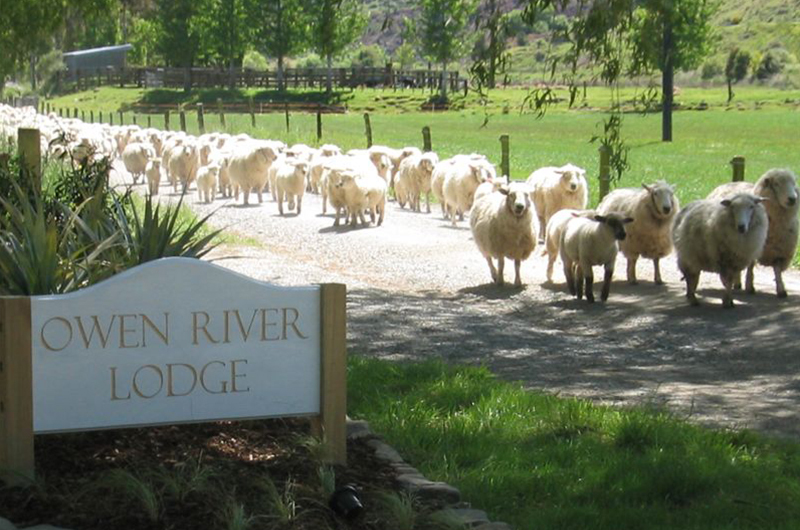 Although Owen River Lodge is a specialist fly fishing lodge, there is an endless supply of “non-fishing” things to do around the immediate property, the local area and the greater Nelson / Marlborough region. 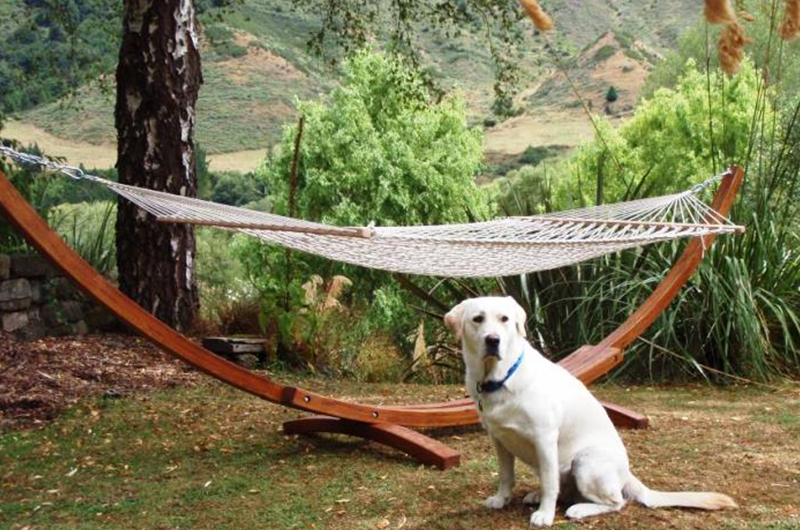 You can relax in the knowledge that we absolutely caters for non-fishing guests. The ambiance, décor and understated elegance of the accommodation and facilities, and the total focus of the team at Owen River Lodge, ensure that our non-fishing guests have a sensational time. The lodge has an outdoor four-person jacuzzi/spa. It’s located right next door to our massage room and has a stunning view of the river, valley and mountains. It’s always hot and always on! Indulge yourself with a relaxing massage in the privacy of your cottage guest suite or our dedicated therapy room. Right outside the lodge, there’s a wonderful country laneway that meanders along the Owen River almost all the way to Mount Owen. It’s a perfect way to spend a sunny afternoon. The lodge has several modern mountain bikes for our guests to use free of charge. 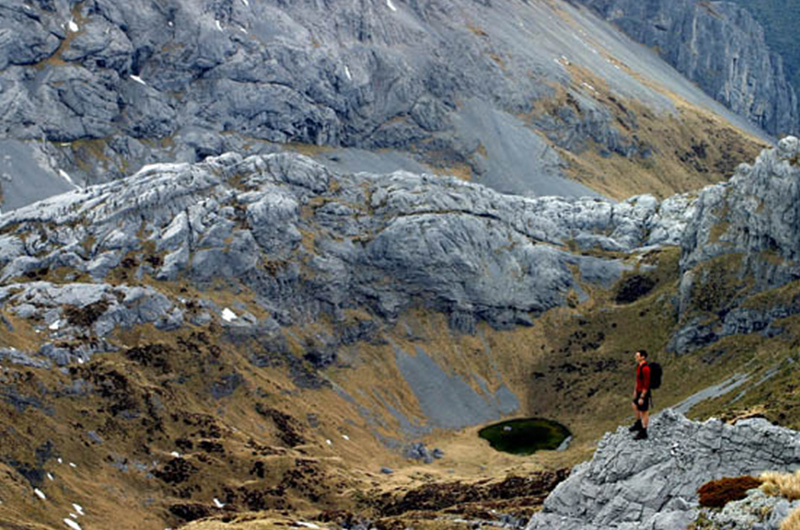 New Zealand’s ‘Great Walks’ are world-renowned. However, you don’t need to go to the Milford track in order to appreciate what New Zealand has to offer. Mount Owen towers above the surrounding landscape at the end of the Owen Valley. There are two walking tracks in and around the mountain. Our neighbors are wonderful “typical” Kiwi farmers. They are delightfully down-to-earth, friendly sheep and beef farmers. If your timing is right, you may even get to see the sheep being shorn. We can always arrange a “Tiki Tour” (Kiwi for"Let’s check out the farm”). A very viable alternative - kick back and relax. With over two acres of gardens, there are oodles of places to relax in the lodge grounds. Keeley and Indi are always keen to take guests for a walk. The lodge sits on the bank of the Owen River. There are several swimming holes for you to enjoy a dip in the river – why not take Keeley with you! 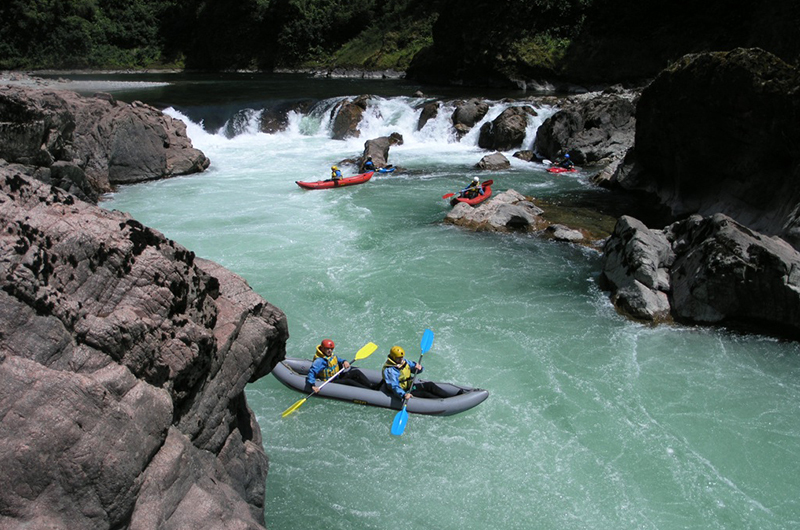 The Murchison region is a world-renowned centre of white water rafting and kayaking. There are several rafting and kayaking companies operating in Murchison. We’d be pleased to arrange a half day to a full day rafting trip – from relaxed to adrenalin-packed. 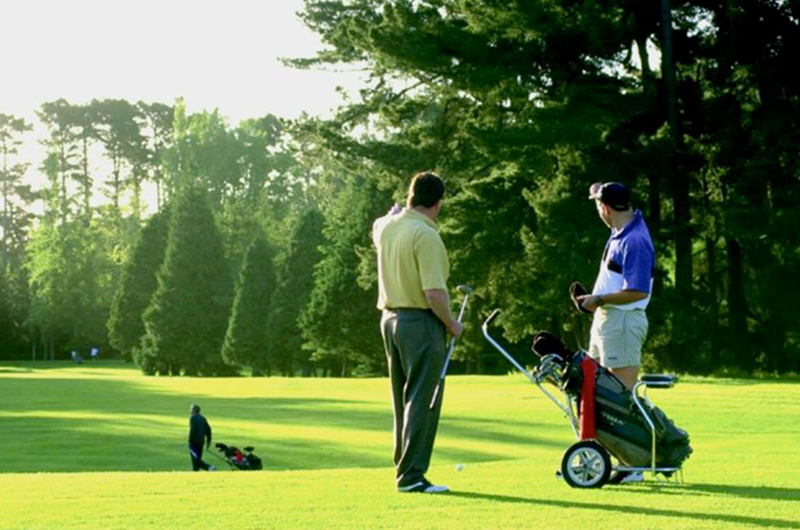 The Murchison golf course is a pretty, 9-hole course situated on the banks of the Buller River, on the outskirts of Murchison. Ask any of the team for more details. We can also arrange club hire. There are several well-maintained walking tracks in and around Murchison. 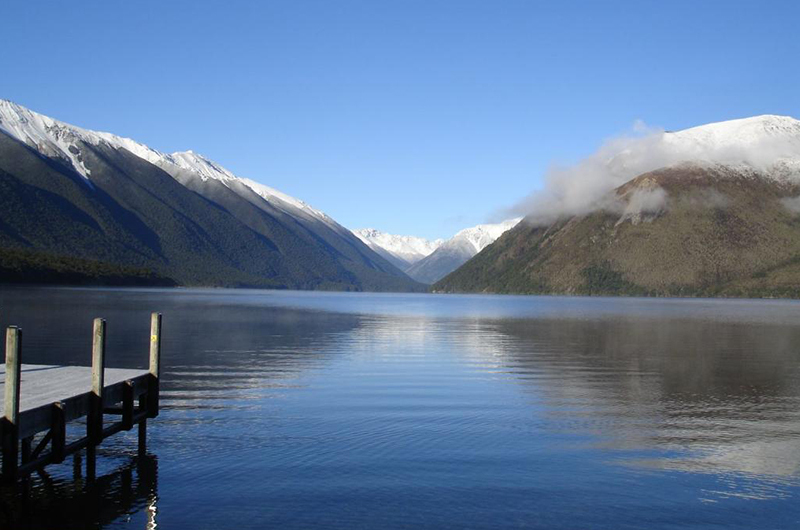 Further afield, there are some sensational, well-marked walking trails around Lake Rotoiti, located within a 20 minute drive of the lodge. Fancy seeing some of the local scenery on horse back? One of the larger farms in the region offers horse trekking, from three hours to a full day event. To ensure a memorable day, numbers are limited to two riders at a time. Walk New Zealand’s longest swing bridge or catch the flying–fox across the Buller River, located down at the Buller Gorge. Thinking of a slightly bigger adrenalin rush? Experience the most exhilarating jet boat trip in New Zealand. Jet boats operate down at the Buller Gorge near the Swing Bridge. Nelson (90 minute drive) is the sunniest place in New Zealand. It’s a vibrant town full of art galleries, museums, crafts people, restaurants, shopping, vineyards and a plethora of things to do and see. Nelson is also home to the Regional Museum. It opened in 2007 and is well worth a visit. The World of Wearable Art & Classic Car Museum is a must see for followers of fashion. Be sure to check it out.Nelson has some fabulous restaurants – why not spoil yourself and enjoy lunch by the sea. New Zealand’s unique blend of Maori and Western culture has given rise to a fresh Pacific identity that breathes vibrancy. What is Kiwi culture? It’s about being innovative and independent, and celebrating diversity. There are more than 300 full–time artists and craftspeople throughout the Nelson region. They include ceramic artists, sculptors, glassblowers, painters, designers, woodworkers, jewellers and textile artists. We can arrange a tour of the regions galleries, artists and craftspeople. 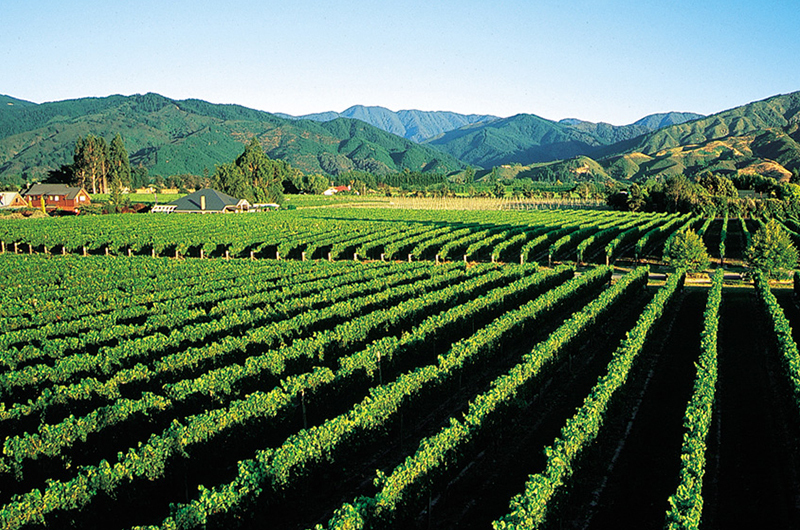 Spend a day touring the vineyards of Nelson/Moutere Hills or Marlborough. 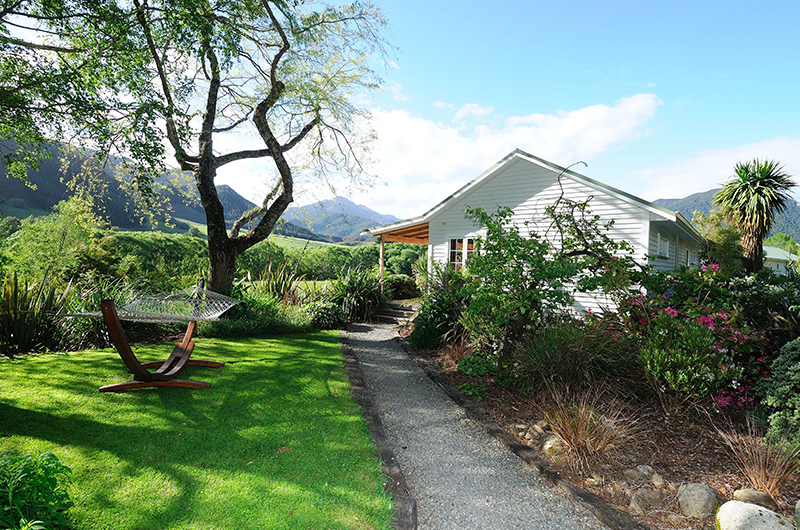 The lodge is located approximately 100 kilometres (60 miles) from either the Nelson/Moutere Hills or Marlborough vineyards. And, with an estimated 24 million vines growing in Marlborough alone, there’s plenty to see! Just five minutes out of Blenheim and about 75 minutes drive from the lodge, this heritage aircraft museum is located at the Omaka Aerodrome. It currently houses one of the world’s largest collections of World War 1 aircraft and memorabilia, including those owned by acclaimed film director, Sir Peter Jackson. Experience a traditional Māori welcome, sample Māori food and learn more about local Māori history and culture on a guided tour of the Omaka Marae near Blenheim. We can arrange this for you – just ask. Don’t plan on having a car, or don’t particularly want to drive? Fear not we can arrange a driver to show you around the region.